Oh just so, so cute! And the absolute in bespoke, depicting all members of Laura’s family – including the dogs! 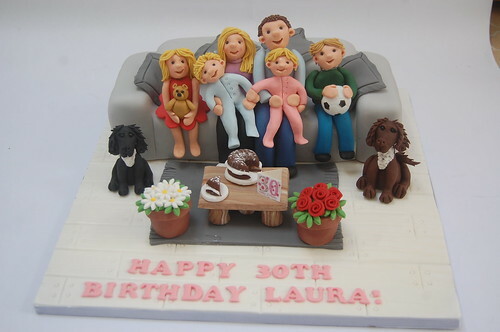 Laura’s Sofa Cake – from £90.